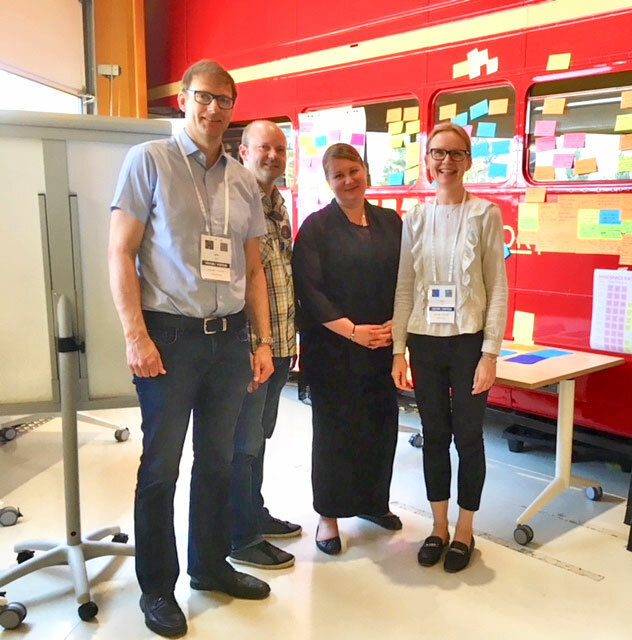 (From left to right) Jukka Ojasalo from Laurea UAS, Tapio Lampén from University of Helsinki (HIP), Anne Turunen from Metropolia UAS and Virpi Kaartti from Laurea UAS. It has been a great pleasure to be involved in the CERN BootCamp project. We started the project together with the 3UAS (Metropolia, Haaga-Helia and Laurea) and Helsinki Institution of Physics (HIP) in the autumn 2017. This kind of collaborative work over the ‘school borders’ is definitely a work method from today! The CERN BootCamp is an innovative and unique study concept for Master students. The concept was co-created by CERN, Laurea UAS, Metropolia UAS, Haaga-Helia UAS, University of Helsinki and companies. 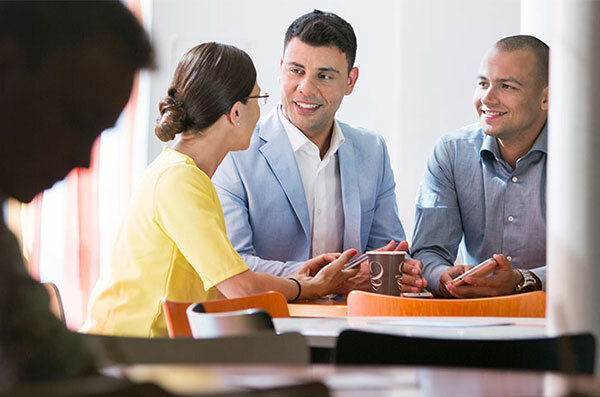 The focus of the studies is to solve demanding societal problems or challenges of the case companies by applying service design and design thinking methods and having a genuine human oriented, empathetic approach. minimizing the gap between employers´ needs and workforce´s skills and capabilities. CERN and local companies as well as the universities offered facilitators and mentors for student groups during our week at CERN in the last June. We also wanted to use local companies in the process because smart companies are very interested in societal issues nowadays. They integrate marketing and corporate social initiatives into broader business goals. According to Kotler, Hesekiel and Lee (2012,10) businesspeople who mix cause and commerce are often portrayed as either opportunistic corporate “causewashers” cynically exploiting nonprofits, or visionary social entrepreneurs for whom conducting trade is just a necessary evil in their quest to create a better world. That is why marketing and corporate social initiatives require a delicate balancing act between generating financial and social dividends. The fact is that some companies are doing great business while doing Good! 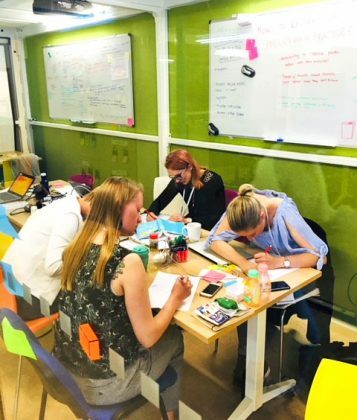 After several meetings together with the 3UAS facilitators during the spring, it all started to turn into reality and we were finally at CERN in June to create the best bootcamp together with the students, the tutors and the CERN Ideasquare staff. It was a remarkable experience to see, how eagerly our group of multidisciplinary students threw themselves in the pool of challenges. Some teams seemed to forget even the lunchtime, so deep in their work they were while tackling with challenges of the plastic pollution, climate change, utilizing open data and minimizing the gap between employers´ needs and workforce´s skills and capabilities. The service design process includes among other things: Research, ideation, prototyping methods and facilitation methods (Stickdorn, Hormess, Lawrence. & Schneider 2018) and that path the students walked on. All the student groups had managed to get great interviews for Tuesday, which supported their research phase. Some went to visit at the WHO, some made a call to Stora Enso, visited the University of Geneve, law office, talked to experts at CERN and so on. Some of the groups changed their point of view totally after these discussions. Wednesday was a hard working day analyzing the results of the interviews, creating key insights and making ideation by using different tools, which were presented to the students during the lectures. By the end of the evening, the groups had decided and found their goal and the challenges were narrowed down. On Thursday it was exciting to see how many different kinds of prototypes started to build up and the visions and ideas of students got a tangible form. Students are solving at the CERN BootCamp a demanding challenge; how to reduce plastic pollution in practice. The final day arrived and everyone was working hard from early morning. After the lunch, it was the show time and we saw four spectacular presentations and innovations from our challenge groups! The students had put their great minds together and produced solutions that could even work as a start for a start-up company…How does titles like Drink like a Finn (a reusable plastic bottle with water quality indicator for tourists), Pelipiha, Foresight Hub and Greenbasket sound like into your ears? The solutions were variable but we need to remember social innovation doesn’t have fixed boundaries: it happens in all sectors, public, non-profit and private. Indeed, much of the most creative action is happening at the boundaries between sectors, in fields as diverse as fair trade, distance learning, hospices, urban farming, waste reduction and restorative justice (Murray, Caulier-Grice & Mulgan, G. 2010,3). Looking forward to the BootCamp of 2019! Anne Turunen worked at Metropolia UAS as a senior lecturer, and she was a tutor on the first CERN Bootcamp. Murray, R., Caulier-Grice, J. & Mulgan, G. 2010. The Open Book of social innovations. UK: The Young Foundation, Nesta. Stickdorn, M., Hormess, M., Lawrence, A. & Schneider, J. 2018. This is service design doing. A practitioners handbook. Applying Service Design Thinking in the real world. California: O’Reilly Media Inc.
Kotler, P, Hesekiel, D. & Lee, N. 2012. Good Works! Marketing and Corporate Initiatives that Build a Better World…and the Bottom Line. New Jersey: John wiley & Sons, Inc.